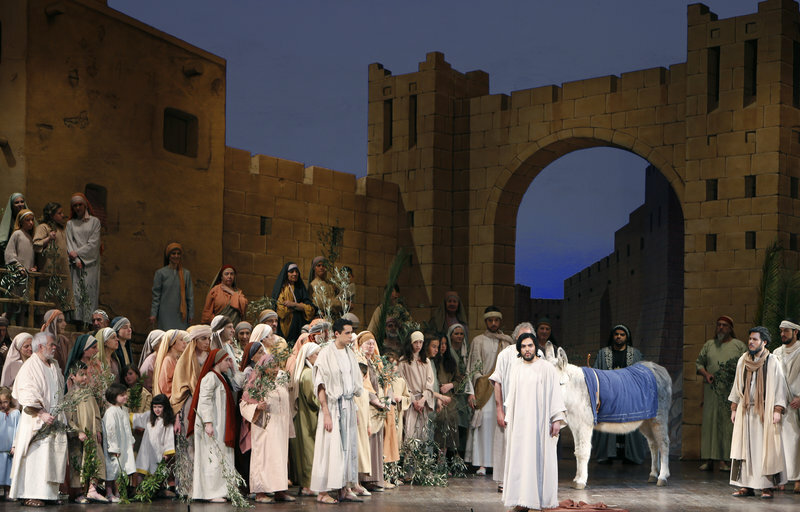 Esparreguera’s passion play is one of the largest. PASSIÓ D’ESPARREGUERA. The start of Lent signals the beginning of the passion play season in many towns around Catalonia. The Federació Catalana de Passions de Catalunya, the association representing the dramatic presentations that depict the suffering of Christ, recently presented a varied new programme of plays in the Pietat hermitage in Ulldecona. This year’s passion plays will take place in the towns of Cervera, Esparreguera, La Cava, Llinars, Olesa, Vilalba, Vilassar as well as Ulldecona, which this year celebrates 65 consecutive years of putting on its play. As a result, this year’s edition, under the direction of Jordi Príncep and Bienve Borràs, includes a number of new features, such as a new stage set, new music and a revamped script, all aimed at making the play more dynamic. Another of the country’s most well-known passion plays is the one held every year in Olesa de Montserrat, which was also one of the first to raise the curtain on the season when it began on March 3. Olesa’s play is also one of the most spectacular, involving a thousand people, the latest technology such as digital mapping, while also taking place on one of the largest stages in Europe, which is a full 30 metres wide. Olesa, along with Esparreguera, has the honour of being one of Catalonia’s most important passion plays. accommodation in the ticket to see one of Catalonia’s oldest passion plays. Among the novelties this year is the incorporation of new technology into the production to make more of the stage set, which includes backdrops painted by the Salvador brothers. Cervera: April 7, 13, 19 and 27. Esparreguera: April 7, 13, 19 and 28; May 1 and 5. La Cava: April 12, 13 and 14. Llinars del Vallès: April 6, 7, 13 and 14. Olesa: April 7, 13, 19 and 28; May 1. Ulldecona: April 6, 13, 19, 20 and 28; May 5 and 11. Vilalba dels Arcs: April 18 and 20. Vilassar de Mar: April 19.